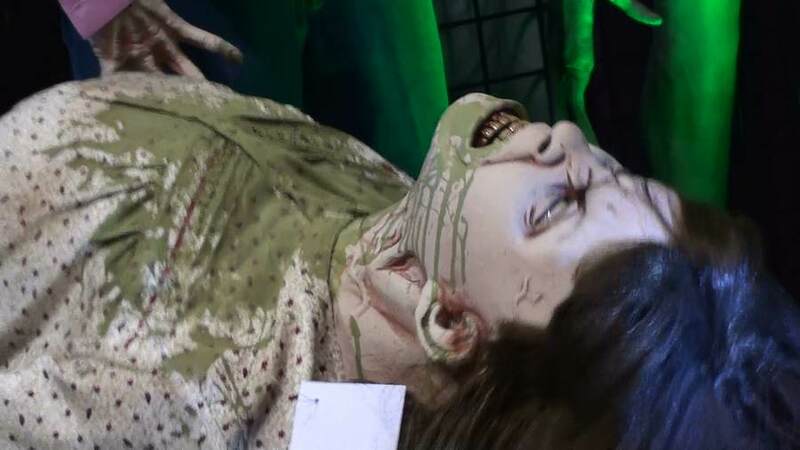 Her Possessed body shivers and shakes non stop (see video below)! With her eyes rolled back in her head and dried green vomit spewed all over her face and clothes, this is one grueseom prop. Part of the Frightronics line, this heavy duty animated prop will run all day long! Solid steel motor with foam and latex body - this is built to last. Soundtrack CD is included (uses your CD player). All electric and uses regular household current! She runs continuously - not motion or sound activated. Her mechanics are solid steel - nothing plastic. Her body is all latex - her entire torso, head, full length of arms and legs. A very high quality Halloween prop. 110-240 V. Clothing may vary.